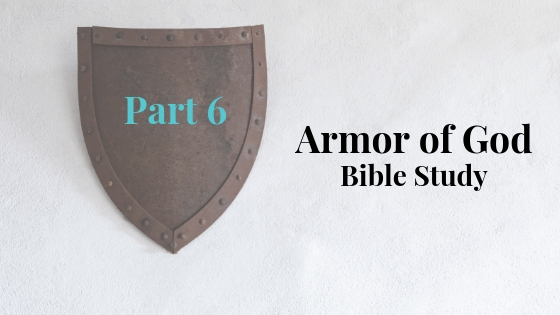 This is an 8-part study 1-email daily so make sure you have your Bible, pen, and paper for taking notes. Learn how God wants us to use the Armor he's given us to fight off the attacks of Satan! We are already in the battle but the question remains...Are we in the fight? You're gonna grow so much but it's also challenging and convicting. What is the Nature of the Battle? Who is the True Enemy? How do we Fight? How do we Stand Firm? You should be receiving Part 1 in your box soon. Be Battle Ready!